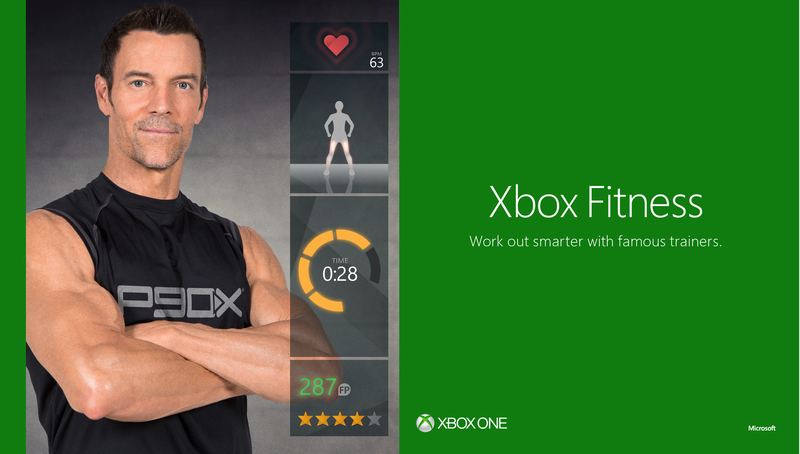 Today Microsoft announced Xbox Fitness, an online exercise program built exclusively for Xbox One. 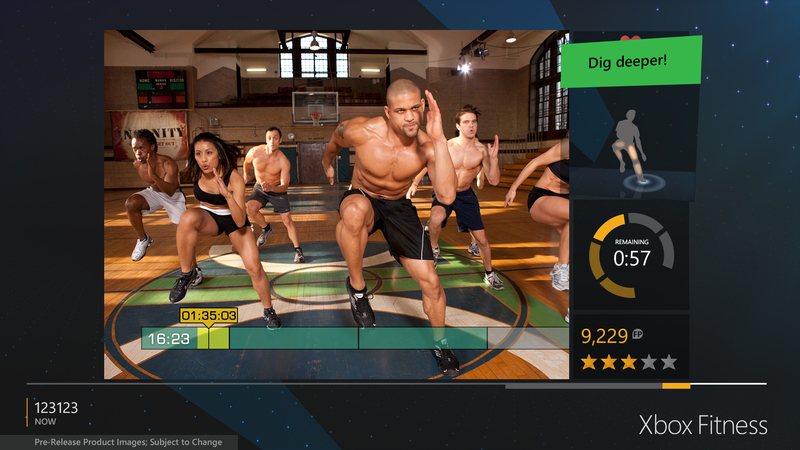 Xbox Fitness uses the console's Kinect camera to deliver an interactive fitness routine. Microsoft promises an impressive level of precision from Kinect 2.0. They say Xbox Fitness can detect the "power, force and transfer of weight in your body" to see what muscles are being worked out the hardest. It can also determine how well you're performing the workout by tracking your form and tempo. The program also provides heart rate measurements without the need for you to wear a monitor. 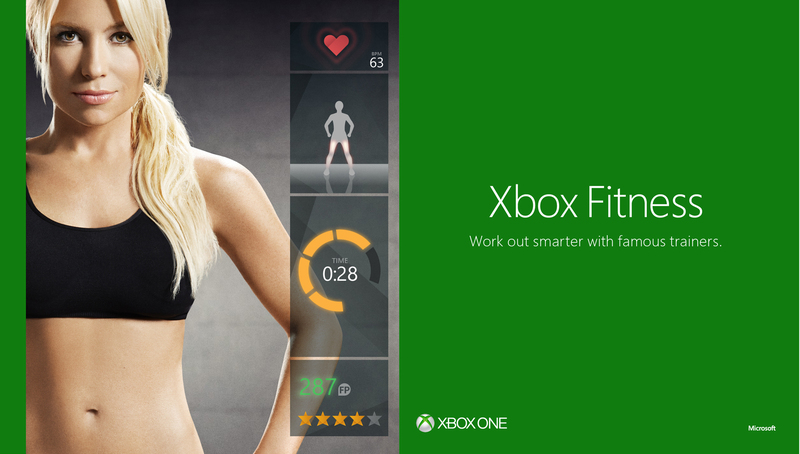 Xbox Fitness tries to guide your development as well. It recommends new fitness programs based on your history and performance. Popular videos among other users are also spotlighted. You can check out your past performances and participate in community challenges through Xbox Live. 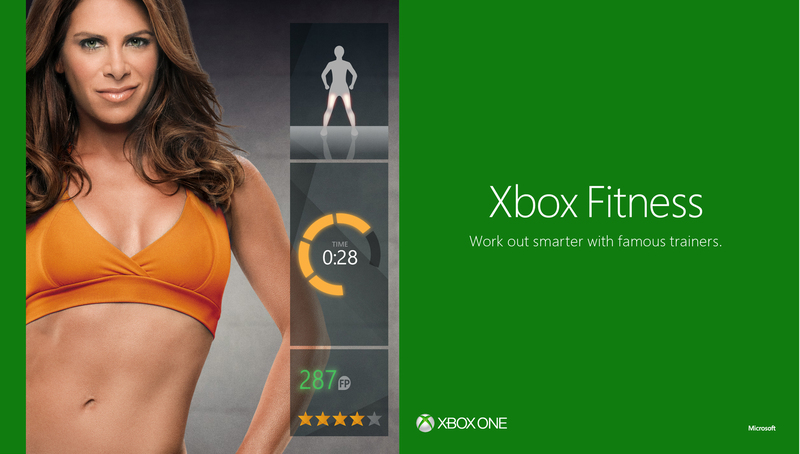 The Xbox Fitness app will feature videos ranging from 10 to 60 minutes in length. Microsoft signed several big names in exercise to provide content. 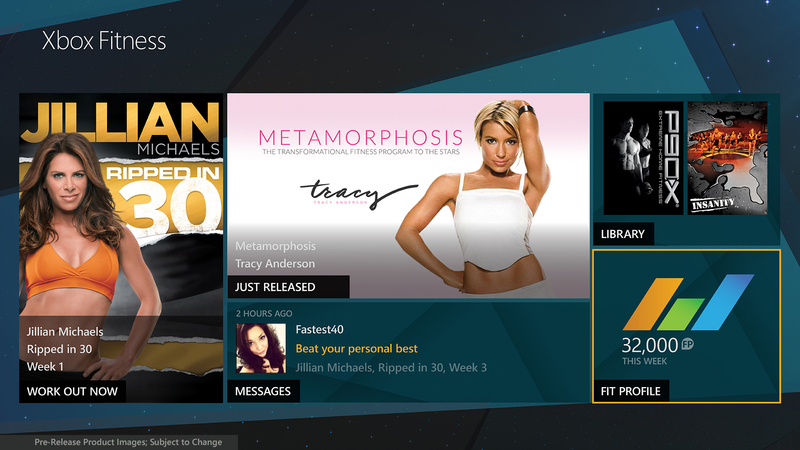 The contributors to Xbox Fitness's library include Shaun T, Jillian Michaels, Tracy Anderson and "P90X" creator Tony Horton. "What makes Xbox Fitness so innovative is the feedback it gives you," says Shaun T. "The Kinect sensor can evaluate your form, tell how high you’re jumping, how hard you’re punching and even read your heart rate. It’s that little missing piece of validation that hasn’t been possible for home fitness products before. 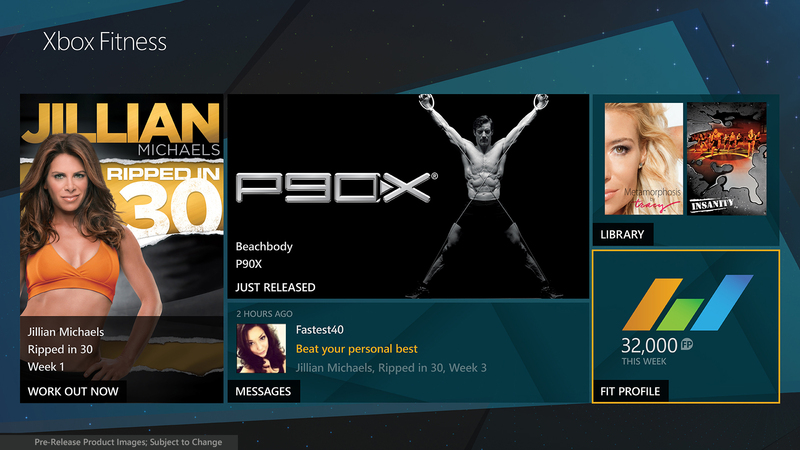 Xbox Fitness completes the puzzle." This feels like a major addition to the Xbox One lineup. In the past, Microsoft has done a poor job of justifying the Kinect's inclusion with every Xbox One. That's a problem, considering the fact that this technology drove the console's price up by $100. I wouldn't go so far as to call Xbox Fitness a "killer app" for Kinect but it's still a broadly appealing use for hardware that doesn't have many broadly appealing uses. 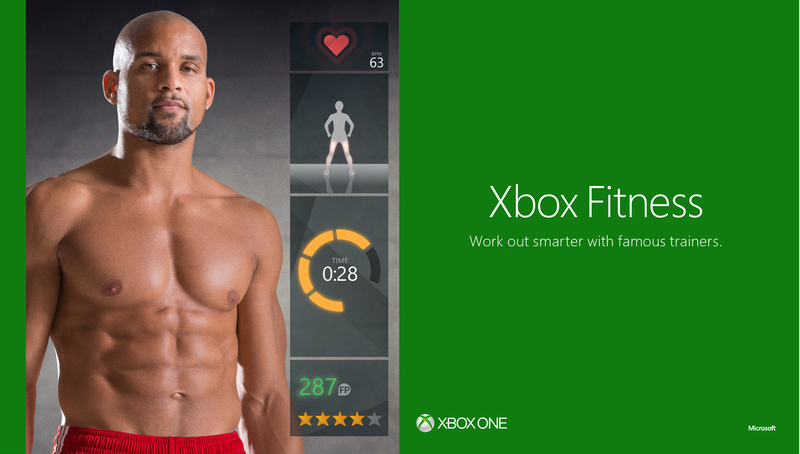 Xbox Fitness will be released this holiday season. Access to the service will be included with Xbox Live Gold Membership until December 2014. Microsoft didn't mention how much it'll cost once it's decoupled from Gold membership.